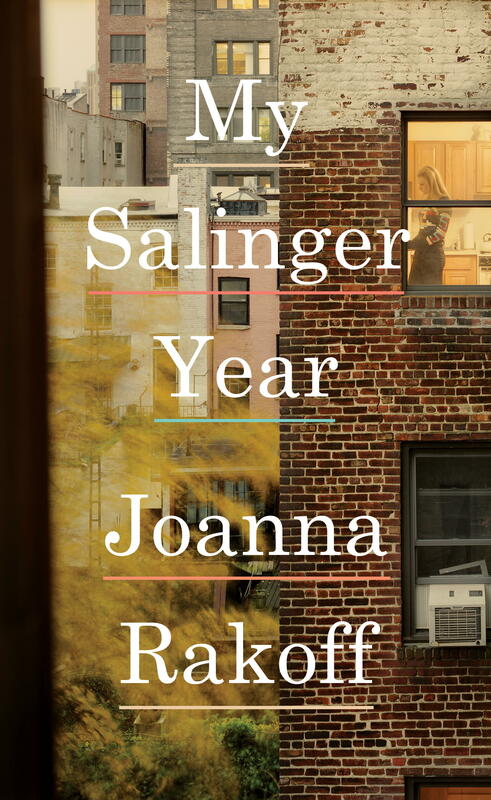 My Salinger Year by Joanna Rakoff. Publisher: Knopf (June 2014). Memoir. Hardcover. 249 pages. ISBN 978-0-307-95800-6. After completing her master’s degree in literature, Joanna Rakoff left the PhD program and moved back home unsure of her next step. She’d ended things with her college boyfriend while studying abroad. A friend suggested she apply to a placement agency that could easily find her a job in publishing. Rakoff found herself at an archaic and storied literary agency. Archaic because in the mid-90s the agency had yet to become computerized and still used typewriters and Dictaphones. Storied because it handled reclusive and venerable author J.D. Salinger. Everything about this memoir appeals to me from the font to the cover to the 90s setting to the tone. It begins in winter with sections by season, then chapters with titles such as “Three Days of Snow,” “The Obscure Bookcase,” “Sentimental Education” and “Three Days of Rain.” Memoir as literary recollections. It’s lovely and immensely engrossing because we’ve all experienced periods of doubt, periods of reflection, periods of development, our twenties or the 90s (for some of us, our twenties and the nineties were all of that). Although she’d studied literature when she arrives at the agency, Rakoff has yet to read Salinger. There are lots of authors out there on my to-read list that I don’t know why I haven’t yet read. I’m not sure why certain professors favored certain authors to others. Not reading Catcher in the Rye? It’s not a huge deal. She’s warned not to engage the author in discussion if he calls. Usually that’s easy as Salinger’s been in exile in Cornish, NH for years. However, he’s contemplating publishing some stories and needs to talk to and meet with his agent. Besides typing a lot of letters and correspondence for her boss, Rakoff’s tasked with answering the Salinger letters. She becomes quite involved in some of these and against agency policy, personally responds to many letters. Rakoff lives with her rather strange Marxist boyfriend in an apartment without a sink and with questionable heating. There’s nothing terribly appealing about this boyfriend. His friends despise anything practical, work at communist bookstores and co-ops and hold political meetings. They couch surf and dumpster dive. It’s remarkable Rakoff stays with him the entire year. As she become more engulfed in her work with the agency—answering the Salinger letters and reading some novels from the slush pile—she and this boyfriend start to drift apart. Interestingly that college boyfriend she broke up with before taking the position at the agency remains in contact. And she finally reads The Catcher in the Rye and other Salinger novels on Labor Day weekend. Besides being a memoir about a young woman’s connection to J.D. Salinger, literature and reading, My Salinger Year is also a memoir about individual growth and discovery. Gorgeously written. Thoughtful, captivating. FTC Disclosure: I received this book for review from Knopf. This entry was posted on August 2, 2014, 14:30 and is filed under Books. You can follow any responses to this entry through RSS 2.0. Both comments and pings are currently closed.